Established in 2012, the World Literacy Summit brings together champions of literacy from around the world to share ideas. It provides a platform for debate, discussion and conversations on how to change the lives of the 757 million illiterate children and adults worldwide. 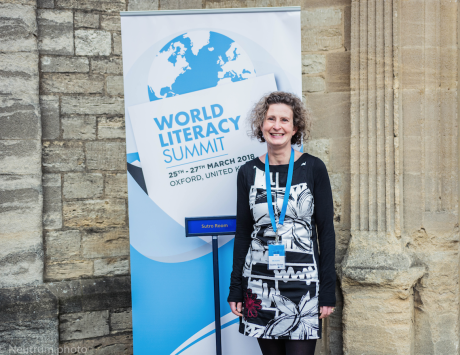 This year, the theme of “Closing the Literacy Gap in the 21st Century” brought together some of the world’s literacy and educational leaders, institutions and organisations within the literacy and development sector. There were presentations on sub themes and related topics, such as “literacy and inclusion”, “indigenous and mother tongue literacy initiatives”, “adult literacy”, “digital literacy”, among others, with representatives from more than 50 countries. All passionate about people and finding ways to educate some of the most vulnerable. The summit was opened by HRH Princess Laurentien of the Netherlands. She is UNESCO Special Envoy on Literacy for Development, but not all contributions came from famous people. Presentations were made by a wonderful diversity of journalists, education managers, curriculum specialists, models, consultants, professors, directors, united in their passion for literacy, reading and people. Projects focused on girls, on deaf children, adults, digital learning, and many more inspiring initiatives. Thank you so much to Annemarie for continuing to fly the Ace flag and for spreading the good word of Ace far and wide.